For years, smartphone and computer users alike turned to YouTube for their free dose of video entertainment. Sure, we had to sit through plenty of ads – some more annoying than others – but that was just the way of the service. And throughout all this, the YouTube app felt hampered by the absence of some really basic-seeming features; was it so hard to let a video's audio keep playing even when your phone's screen was turned off? The combination of those missing features and a desire for an ad-free YouTube experience finally coalesced into impetus behind YouTube Red, a premium paid service that gave users the ability to lose ads, get background and offline playback modes, and even gain access to some exclusive content, all in one fell swoop. It sounded like a solid enough idea, but could Google really convince users to pay? We've recently seen the company taking some steps to sweeten the deal, and now the latest YouTube Red is hooking users up with some free hardware. Last week we told you about YouTube Red's most recent pricing deal, giving users the ability to try the service for three months for just about one dollar – a huge discount over the standard ten-bucks-a-month rate. Now it appears that Google's reaching out to certain YouTube Red users – even new ones who only just signed up through that deal – and offering them a free Chromecast. 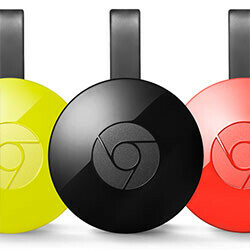 The confusing thing right now is working out who's getting a free Chromecast and who isn't. In the email Google's sending out to users tapped to receive this offer, the company mentions wanting to thank them “for being one of the first people to join the party,” but like we just said, even users who only signed up for YouTube Red earlier this month are among those getting free Chromecasts. For the moment, we can't say who's going to get a Chromecast just for being a YouTube Red subscriber and who isn't, but if you're curious to see what YouTube Red's all about, and you've got a buck to spare, go ahead and roll the dice and see if you don't end up with a nice little gift from Google. Nice idea, but there's no way I'll ever pay 10 bucks a month for Youtube. Google should give a deal for those who already pay for their Google play music or Google drive. You pay this much if you already have this service with us. Maybe? YouTube red includes Google music premium.